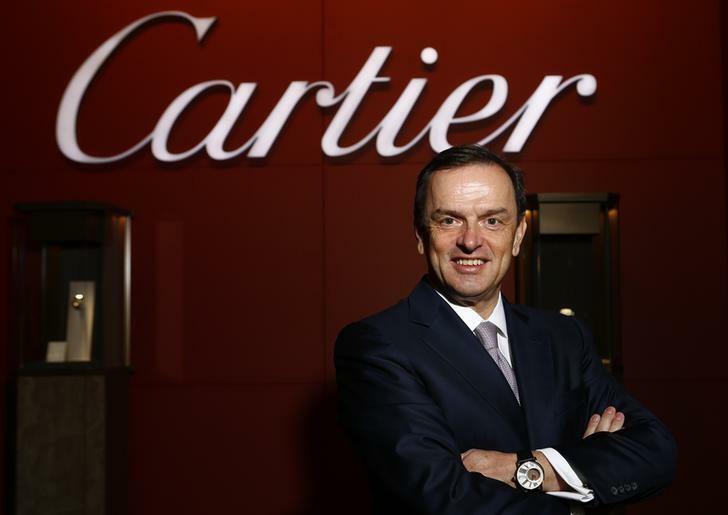 PARIS (Reuters) - Stanislas de Quercize, chief executive of jeweller and watch-maker Cartier, has been off for several weeks due to health problems, sources close to the matter said. Bernard Fornas, co-chief executive of parent group Richemont (CFR.VX), has been running the brand in the interim, they said. "We do not know when he will be coming back," one of Quercize's associates said, declining to be named. Quercize, a 25-year Richemont group veteran, has been head of Cartier since the end of 2012, replacing Fornas, after running sister jewelry brand Van Cleef & Arpels for more than seven years. Several sources, including one of his direct assistants, said he was suffering from "burn-out." Quercize's absence from the Watches & Wonders fair in Hong Kong, a key event for the brand's customers in Asia, was noticed, the sources added. Cartier, which accounts for more than 60 percent of Richemont's operating profit, has been suffering from tough trading in recent months due to lower demand in China and traditional shopping hotspots such as Hong Kong. Richemont declined to comment, while a Cartier spokeswoman said: "I have no information."